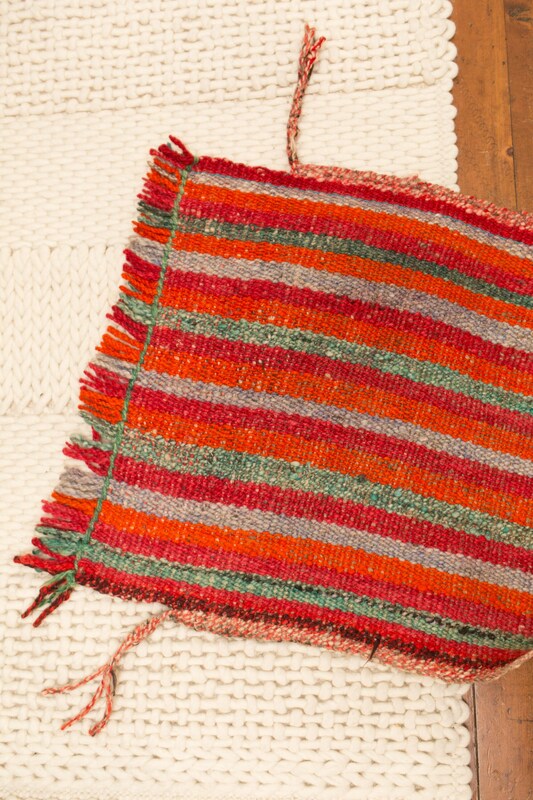 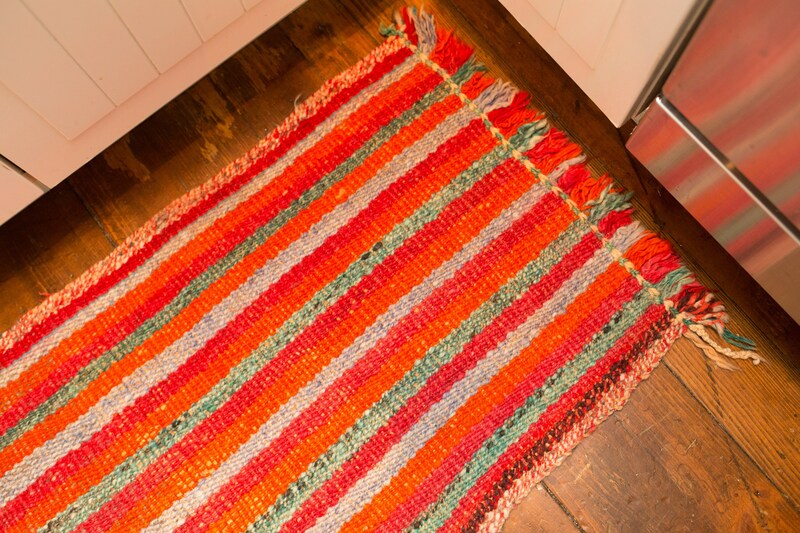 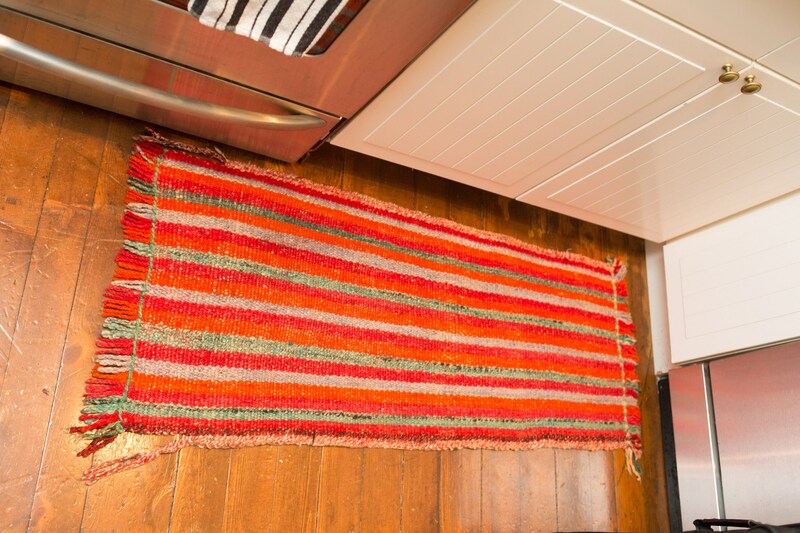 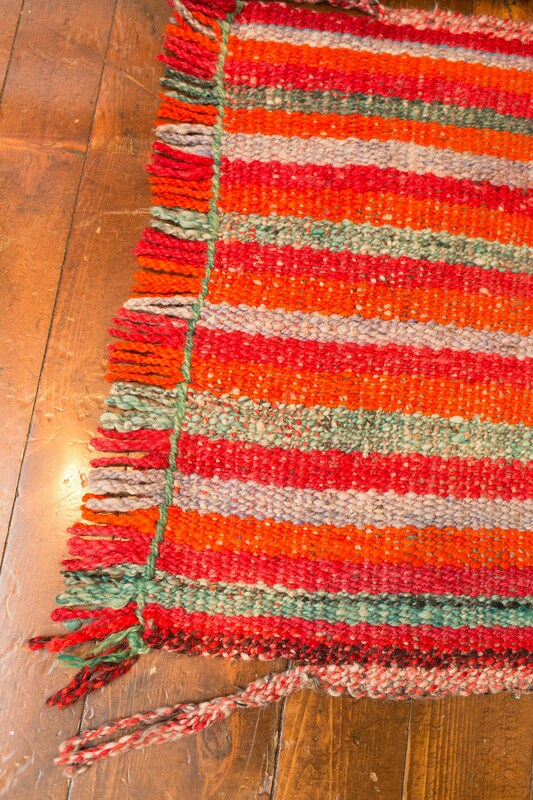 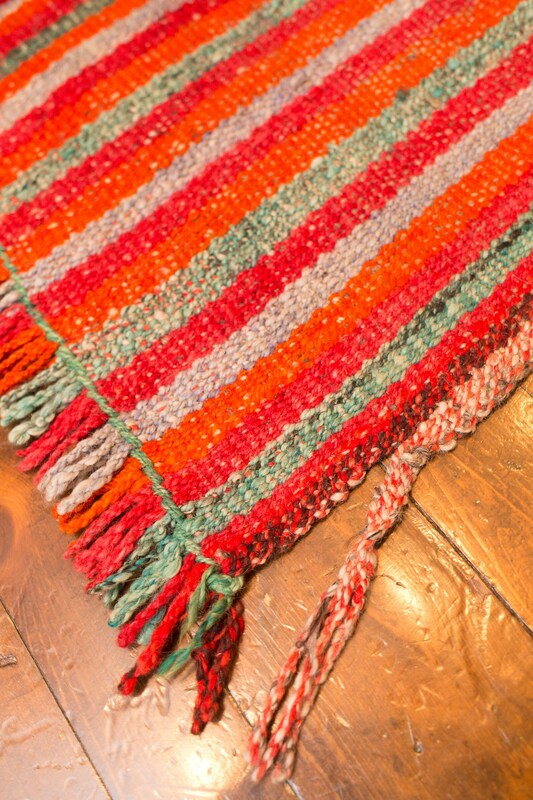 This is a passionate vintage woven striped rug. 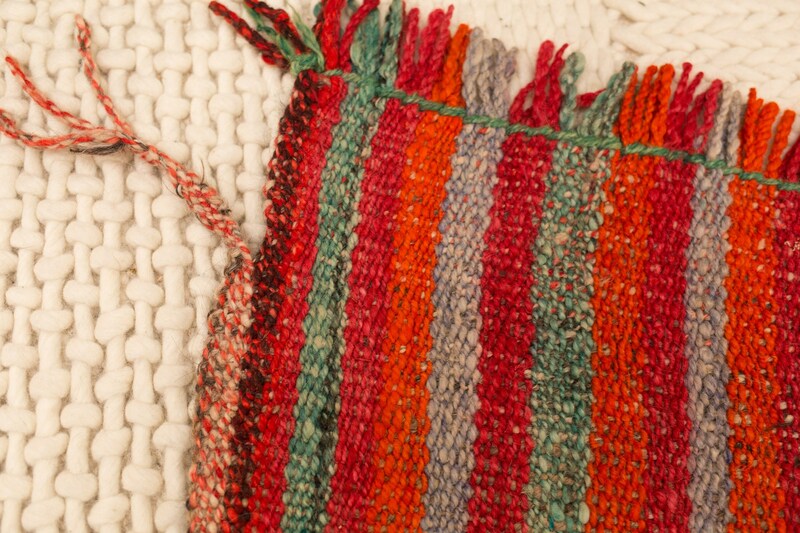 The ends are braided at the sides. 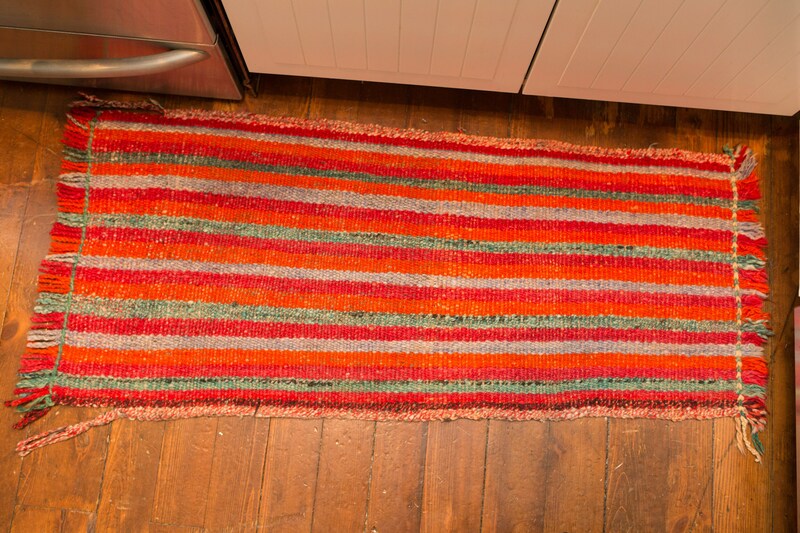 Measures 49 x 22 inches.